Ease of getting in and out. Reliability. Fuel economy 25mpg or better. Have looked at Subaru Forester,Outback,Nissan Frontier,Chevolet Colorado,Hyundai Tucson. Not sure if I want a truck or suv. The Frontier price was good. I liked the Forester but price seems high. 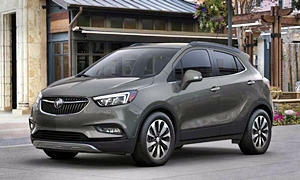 New 2018 Buick Encore Preferred for sale at Ferguson Superstore in Broken Arrow, OK for $16,956. View now on Cars.com. Everybody says the Forester is the best car for older people because of the excellent visibility and ease of access. 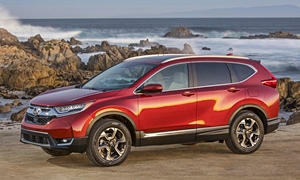 You are going to want a "compact SUV," not a truck. These SUVs are known for being popular with older people because of the ease of getting in and out of the car. You just have to slide into the seat unlike a sedan or hatch where you have to duck and hold on. 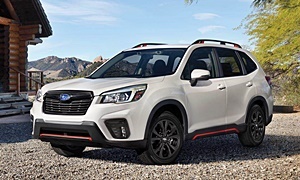 Make sure you aren't missing out on a 2017 Forester that is being heavily marked down. These will be in your budget for sure. The main things you should be looking for are ease of access, visibility, active safety features, and an easy to use interior. These safety features avoid an accident for you and keep you in your lane. 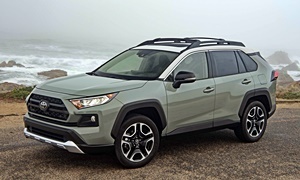 The 2017-2018 Toyota RAV4 should also be on your list. It has all the safety features standard on every trim and they work (even if Norm tries to prove you wrong with one example) as shown in the IIHS tests. From inside, the controls including the touchscreen are easy to use and visibility is great. The car is more reliable than pretty much anything you will find. 2017 and 2018s are the same, so look for a 2017 on the lot to get a deal. Even the base trim is a good choice. The Honda CR-V is a better all around car than any of these, but TrueDelta shows reliability isn't great and Consumer Reports says reliability is Excellent. I'm thinking this is just first-year hiccups and the 2018 will be reliable. Not as well equipped in the base trim as the Toyota. The Frontier is reliable, but other than that, it is a horrible truck. The Colorado is not really reliable, but a better truck. If you need a truck, the one that will suit you best is the Honda Ridgeline, which actually is a good choice if you want an alternative to a compact SUV. The difference between our stats and CR's...well there are a couple. First, their question is worded much more subjectively, "Did the car experience any problems you considered serious?" They leave it up to each person to decide whether a problem should count. Second, and I suspect this is the big difference, they collected their data last April. 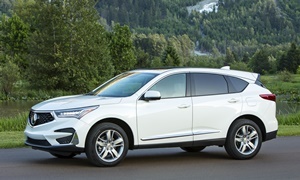 At that point the new CR-V had only been available for three months, and the average respondent to their survey had probably only had their car for about half that. In comparison, our current public stats cover through the end of September, and the next update will cover through the end of December--providing much more time for something to go wrong. On top of this, CR doesn't ask when the car was purchased, and so cannot weight by the amount of time covered by the survey. We do ask, and do weight by how many months of ownership are being reported on. The above differences have repeated made cars introduced well often the usual October model year changeover look better than they otherwise would. They've repeated declared a model that went on sale in February or March as one of the most reliable (a Kia last year IIRC), without noting this limitation in their methodology. All of this said, if the past is any guide the stat we're reporting for the new CR-V will improve as initial glitches are fixed and no new issues pop up, and the 2018 will likely be much better from the start. The Forester is perfect for you, it ticks off all the boxes. My slightly plus size, 72 year old sis in law traded in here 2006 Outback for a 2017 Forester and loves it. Regarding reliablity,I've had 3 Subarus (2004 Forester, 2010 & 2015 Outbacks, all H4s) and not had any significant issue with any of them. My oil change interval has been 6K while under warranty & 10K after and none of them ever needed to have oil top off. That said, I'm a member of "Car Buyers Anonymous" so I have sold all mine before 80,000 miles -- not because they had problems but because I wanted the features of newer models. Ah... now I know. BTW, the Kia Niro was the one on the 10 most reliable list. Sometimes I question their reliability ratings. TrueDelta also gives more information when giving specific problems. 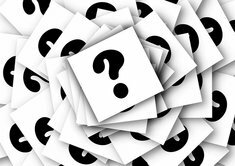 With any information based on survey data it's important to know which questions were asked, when, etc. There's good information in CR as long as you know what it's weaknesses are. 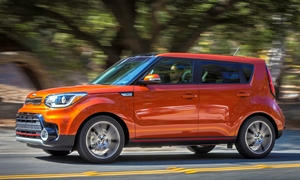 I forgot to mention one other car that would meet all your stated criteria, the Kia Soul. Being a Kia it shares many mechanical componets with the Nitro, but is a taller, more upright vehicle with more passenger space and easier entry & exit. Another plus is that while it is spacious on the inside, overall it is more compact than the other recommendations making it easier to drive and park. You could easily get a fully loaded Soul for $26,000 and have change for something fun. Since this is your "last car", the 10 year warranty is an added bonus. Enjoy your car hunt and please let us know what you decide on. Some very good suggestions here. Some key questions to narrow the search: 1. Would you often use the bed of a pickup? 2. If not, how much driver, passenger, and cargo space do you need? If not, and you don't need much space, then either the Encore or the Soul could be a very good choice. If you do need more space, then the Forester, CR-V, and CX-5 are all good choices. Of these three, the CX-5 has the nicest interior and is the most fun to drive, but it isn't as roomy as the other two. Subarus tend to be reliable for the first 100,000 miles, but can get expensive after that point. 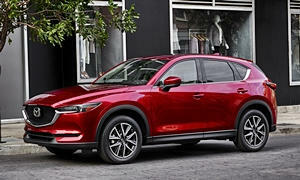 I like the suggested Mazda CX-5, in fact I am considering getting one to replace my current sedan, as a second car. 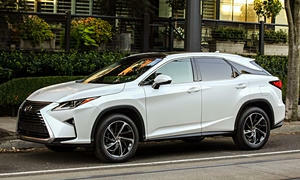 If if you are willing to go up a few thousand in price, you should also consider the Lexus RX 350 and Acura RDX. No kidding, I picked up a Lexus RX, two years old with 12,000 miles on it for $30k in August. This replaced my Town Car and I love the ride and comfort, along with the blind spot monitoring, dual power lumbar support and Bluetooth link to my phone. if this is going to be your main or only ride, treat yourself to a premium vehicle. The powerful V6 accelerates quickly and I have no need for more power, it is a true pleasure to drive. i have not driven any RDXs, but I will say that the paint finish on ones I looked at was unimpressive, the passenger seat did not have power lumbar. That is what brought me back to the Lexus. I see that these run a few thousand less than the Lexus, so if price is a dealbreaker, I'd take a look at Acura. I also had had a Cadillac SRX for a weekend, it didn't impress us and it had a number of features we didn't like (panoramic sunroof and touchscreen controls).